Five years after its foundation, James McAnally and Stephanie Sherman reflect on Common Field, a US American network of artist-run spaces. A cinco años de su fundación, James McAnally y Stephanie Sherman reflexionan sobre Common Field, una red estadounidense de espacios dirigidos por artistas. Common Field Convening 2017, Los Angeles, California. Image courtesy of Ian Gambers-Byer and Chris Kallmyer. Around 2003, a new group of artist spaces started to pop up around the United States, although for years they remained under the radar to one another and to the art world at large. It’s unclear why this particular year marks a surge in the founding of these spaces—a new generation of creative people disillusioned by art in the wake of the insanity of 9/11 and the unfolding Iraq War, the ubiquity of mobile technologies that precipitated fluid working in start-up, DIY, or DIT modes, or simply, as times deliver, a confluence of energies around the idea of operating art spaces or institutions differently than what visible arts or culture institutions had to date. 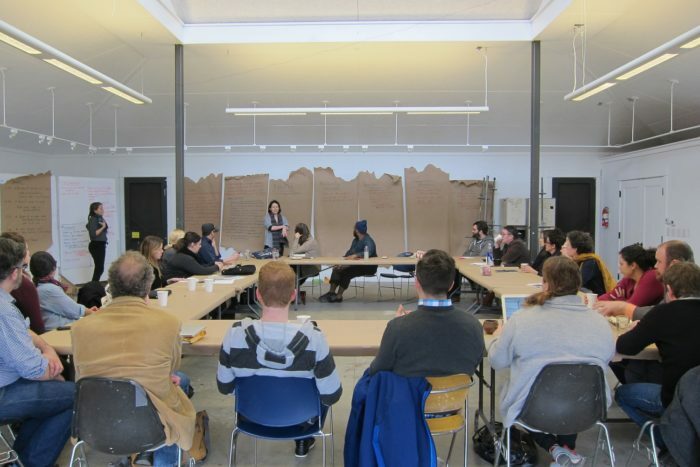 Many of these spaces—Machine Project (Los Angeles), The Luminary (St. Louis), Elsewhere (Greensboro), Space Gallery (Portland, Maine), and Threewalls (Chicago), to name only a few—were part of a group of 20 artist-spaces that were invited to a retreat at Ox-Bow in 2013. It was from this retreat that Common Field emerged. The initial founders, Elizabeth Chodos, Courtney Fink, Nat May, Abigail Statinsky, Stephanie Sherman, and Shannon Stratton, each represented organizations that had the benefit of being part of the Warhol Initiative, a capacity-building program led by the Andy Warhol Foundation for the Visual Arts, one of the few grant-awarding foundations in the US deeply committed to the work of artist organizations. Aside from the Warhol Foundation, there are no private foundations focused on supporting the work of this field on a national scale, and public funds, such as The National Endowment of the Arts or state arts councils, are not only in very short supply, but are also highly variable in terms of their annual project commitments. Very few grants cover operating funds, so organizations often survive by inventing some hybrid mix of rampant volunteerism, earned income from programs or sales, grant funds, and private donations—from big to crowd-funded. Without real prospects for a centralized funding structure or consensus on funding advocacy as a viable objective, Common Field’s founding organizers saw the need to articulate shared practices and values, to give definition to the field. 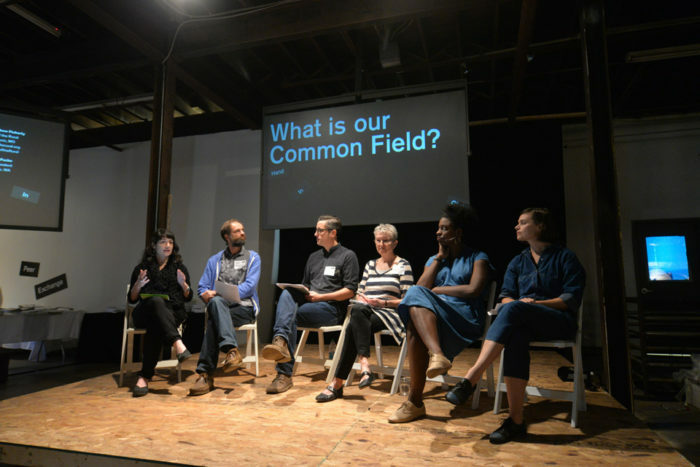 The premise for Common Field was to generate a network of these artist-spaces and organizations that could support one another through shared resources, connection, and advocacy, and, through this exchange, to build stronger organizations—better resourced, more interconnected, and better supported as a result of shared knowledge and collective power. Officially launching in 2015, Common Field made the goal of “representing” this evolving field its starting point. At the time, there were few forums for connection, and no shared language through which to express the scope, vision, and impact of these spaces within the landscape of contemporary art in the US. It set out to reflect the artist-run spaces and projects that composed the field, inventing its own ways of doing things as a network that embodied the particular values of its members. It would need to be nimble, experimental, risky, inventive, and responsive. There was of course a historical precedent for Common Field, although part of the challenge of the field of artist organizations is that its history is so often lost, fragmented, or worse. For example, Common Field’s most immediate predecessor NAAO, the National Association of Artists’ Organizations, which operated from 1982-2001, lost its archives to a garbage truck when they were purged unknowingly from a former director’s garage. Depending largely on the support for artists’ organizations it could generate through political advocacy, NAAO met its slow demise after suing its own funder, the National Endowment for the Arts when the NEA retracted support for individual artist grants after the notorious “NEA Four”  pitted individual artists against conservative politicians—who denied the grants—and the organizations that supported them. More recent precedents such as Common Practice in the UK formed a closed network and accomplished a singular and critical task, advocating for the value of artist-run spaces to the UK arts council. In contrast, to date, Common Field has had no such specific advocacy agenda other than staking out a field of artist organizations that are neither part of the commercial art world nor the university or museum system, and, in doing so, generating visibility and viability for this often overlooked area of the art world. 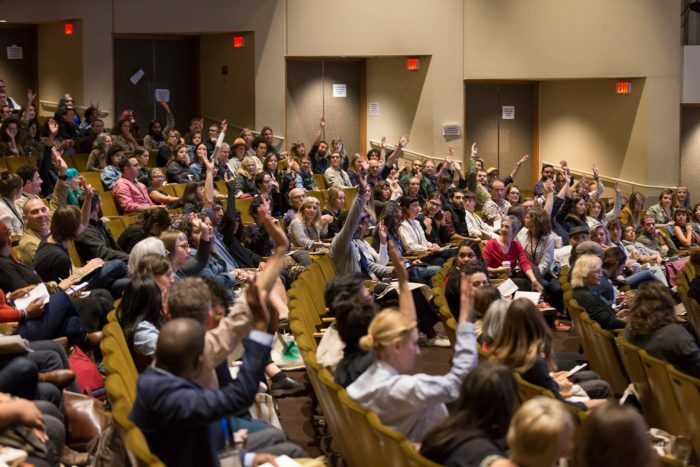 As a national network, Common Field connects, supports, and advocates for the artist-centered field, connecting at present 700 members across 43 states. The network includes alternative art spaces, publications, digital exhibition venues, residencies, platforms, collectives, collaboratives, as well as individual organizers. Fundamentally, Common Field “supports organizing that generates new contexts for creation, circulation, and critique. 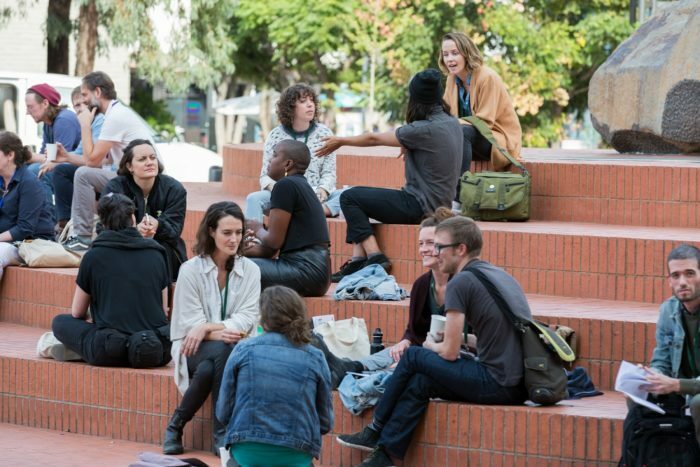 [They] engage with changing social, political, and economic conditions, prioritizing the role of art organizing within these broader concerns.” Organizations self-identify as members, align with a web of values and practices of artist organizations and organizing, and pay a small annual fee based on their budget to support the network and its services. 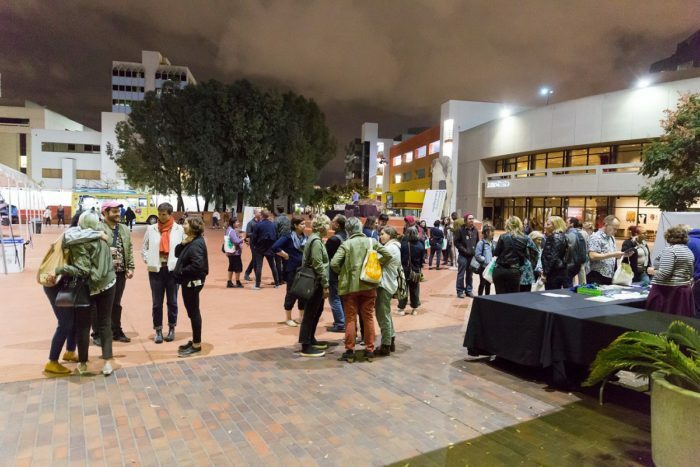 Common Field’s main program is the annual Common Field Convening, a nomadic gathering that assembles the field—most recently in Los Angeles in November 2017. 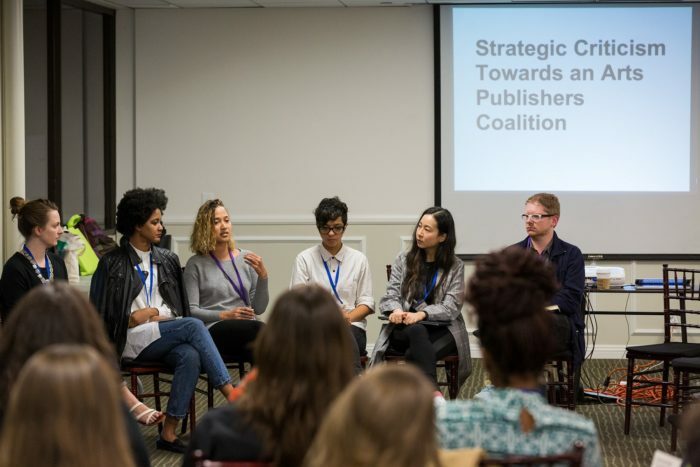 Common Field also hosts research initiatives, publishing projects, and project commissions in partnership with its member network, regional meet-ups, an online forum, and more. Now five years in the making, Common Field has confronted and consciously inflected its own organizational founding with the most pressing ideological challenges of the day; it is committed to engaging with art as an expression of social and political alliances and practices, approaching art not just as a practice that reflects the world, but as a mode of actively rendering or modeling the world. This commitment and operational modality has formed a network aware of the affinities and discrepancies in creative approach, ideology, mission, and vision among its participants. Regardless, Common Field’s evolution has been self-consciously demonstrative, attempting to model equitable practices, transparent governance, collaborative cultural forms, and immediacy of response as a way to incubate these values further within the field. The forming of Common Field has itself been an exercise in “commoning” a group of spaces, in which the “common” is a web of interests, practices, and approaches—part curatorial, part directorial, part artistic, part collective, part administrative, simultaneously all and none of the above. A dominant question throughout Common Field’s development has been how, exactly, this field hangs together as a coherent network—an assembly of artist-run, artist-centric, or self-organized projects that is expansive and essential rather than disconnected and marginal to the broader activities of the art world. From the network’s founding documents to the activities of its 700-plus members, Common Field has been multi-hyphenated, disparate, and unable to be distilled down to an easy description. It is perhaps a question more of position than of structure—bottom-up, outside-in, singular to common. Our contemporary times have been wracked with the failure of institutions—governmental, financial, ethical, and, of course, cultural. The institution, as it is fundamentally understood, is a center of power, a distillation of forces into a discrete whole. The institutional art world is a common foil for the work of the organizations, projects, and spaces that make up this field. That world of institutions carries certain codes—hierarchical decision-making processes, dominant power relations, compromised funding models, colonial histories, and a pervasive white, male, eurocentric viewpoint. In the US, many museums, but also the broader “nonprofit industrial complex,” as well as academia at large, tend to be slower to respond to calls for decolonization, direct action, and divestment from problematic patrons, whether the Sackler family or fossil fueled companies. The independent or alternative mode of working is a necessary force of resistance to these tendencies that opens up new ways of working, foregrounding equity, mutuality, and liberation. The existence of Common Field as a quickly growing network opens a viewpoint in which this “other” form of independent organization is imagined as larger, more expansive, and more interconnected than the institution. This network is dependent on collaboration and solidarity rather than on forces that undermine the messages their constituent organization and spaces present. This network, in its attempt to promote organizational forms tied to communal ethics and shared benefit, offers a kind of counterforce to the institutional art world and market, advancing tangible models and examples in the present, tactics towards next steps and re-imagined futures. In the case of Common Field and many of its organizations, we are quite specific in our choice not to be institutions, as institutions are fundamentally designed to withstand changes over time. They move slowly, they resist change, they are steadfast and resilient, they serve best as long mirrors rather than catalysts for the shifts in cultures around them. Organizations, on the other hand, are formations of practices—a system, designed in response to a need or agenda. They set in motion a structure or platform for engagement that pushes some radical vision into a reality that can be apprehended, engaged with, and extended. Organizations are codified ways of doing things: they help strangers work together, they provide mechanisms for different ways of getting people involved, they move with the times in which they are situated. An artist-run or artist-centered organization typically approaches artists’ work as an open process, rather than the final fruits of their labor, and places this perspective at the core of its practice. 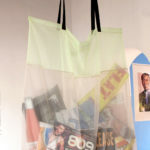 The organization might be run by artists themselves, or might be an expression of a curatorial intention to provoke, engage, or connect artistic processes. It values the artists and their public as human agents. Likewise, many of Common Field’s organizations commit themselves to overcome the limits of art—how it is made, spoken about, presented, curated, activated. And thus these organizations are most often experimental (in that they take risks, they try, they fail), they are independent (they are not contingent or beholden to some other larger institutions), they are non-commercial (sales are not the ultimate outcome or aim of their work even if they have a commercial interface). Common Field Convening 2015, Minneapolis, Minnesota. ​Images courtesy of The Soap Factory and Common Field. Within more traditional contemporary art institutions it is often the figure of the curator that wields the agency to address the urgencies of the present through a predominantly symbolic approach in the form of exhibitions and programs; at Common Field, the curatorial tends towards questions of process, access, and the generation of knowledge as well as, community building or directly connecting towards cultural and structural change. In this field, what one does is not necessarily centered on a particular position because the positions of director, curator, preparator, fundraiser, and communicator often collapse into the same practice. 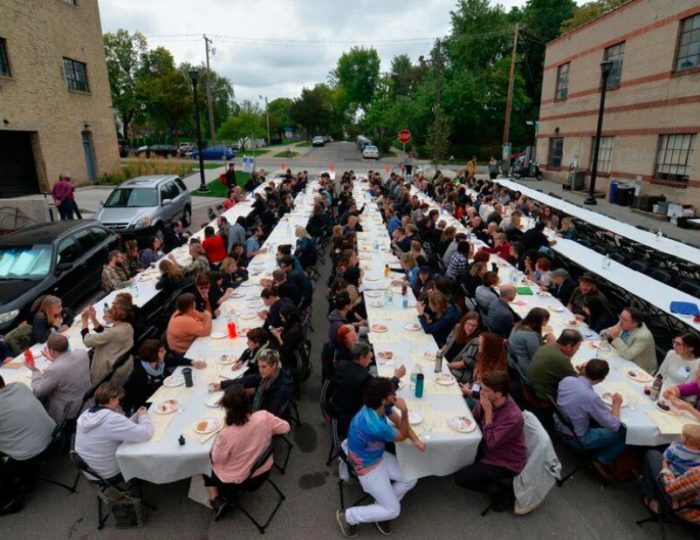 In this view, Common Field often refers to its participants as “arts organizers,” since this work is much more akin to what a community organizer might do—assembling, communicating, connecting, orchestrating, strategizing, fundraising, and so on. Rather than the more common stand-ins of the arts worker, cultural producer, or arts administrator, positions which have become central to questions of the artist-as-laborer, the artist-as-free-agent, and the artist-as-bureaucrat, respectively, an arts organizer contains and exceeds these dynamics. One administers the present but organizes towards the future. Foregrounding this tendency, Common Field created an impromptu series under the banner of Politically Resistant Programming following the 2017 US presidential election. 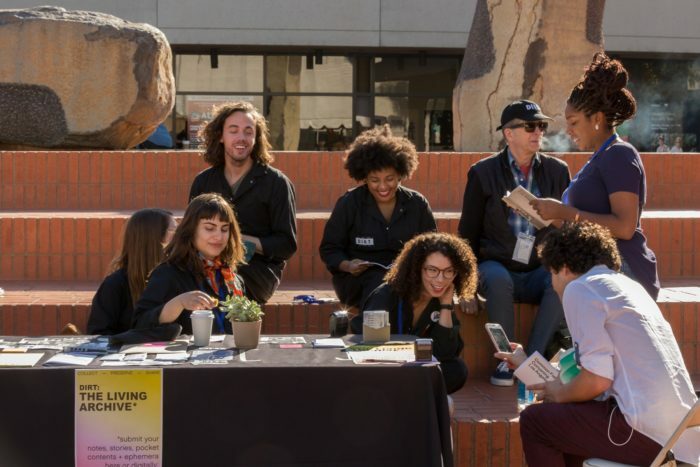 This program gathered together those of its members generating online video conversations and toolkits to share research on how organizations and organizers were responding and resisting. The series emerged from an initial observation of the self-organized activities being generated in the field and the pressing need to act given the high-stakes of the situation. However, Common Field’s ability to offer a collective legibility around its members’ work points to the power of this decentralized curatorial activity to gather, present, and disseminate the disbursed work of the network. Common Field’s programs negotiate this delicate balance of coagulating and sharing organizational actions, and spurring on collective energy in the name of the network itself. Founding retreat at Ox-Bow, School of Art & Artist Residency. Saugatuck, Michigan. Image courtesy of Courtney Fink. If the institution is the centralized power that is to be reshaped towards new, equitable ends, it is in the independent sector that we will see these values first enacted. It is not an image of the institution set against its opposite; rather, it is about building organizations of the common, to paraphrase Antonio Negri. Theories alone will not enable the kind of sea changes needed. Without in-practice examples of how commons work, without a medium through which to learn and reorganize, without the tension of real compromises and negotiations, no aspiration will ever come to fruition. At its best, Common Field draws from and upon these strategies and tactics, strengthening the organizing work of its nodes and their aggregate in tandem. As a counter to the centralizing tendencies of the institution, Common Field’s motion must be circular: a collectivity that comes together or convenes, and a network that continually pushes outward back towards its members. The permeability of Common Field as a network requires that it be malleable to its network’s desires, that it be, in fact, inseparable from the multiple voices of its members. A network can also be a problematic site of consolidated power, as our pervasive “social” networks make clear, so it is the vigilance towards the common that holds this off-center structure in place. The circulation between Common Field and its members and vice versa must be generative and perpetually reforming. It must be open to criticism and flexible, it must find forms to take in input, but also to make quick and intelligent decisions. Common Field is impossible to imagine apart from the urgencies, possibilities, and complications of the present. It is both nationally implicated, yet globally inflected. Though Common Field is situated within the unique context of the US in all of its messy associations, the field itself is a global phenomenon—art organizations are born, they live and die, they are functions of their contexts and their motivations, and they are often unrecognized by the larger and grander institutions they feed. Structurally, Common Field is built around the sometimes-contradictory presences of its network in urban centers and rural contexts, in itinerant or online-only forms, and in the messy melding of older, established organizational models with the experimental, emerging platforms always arising. 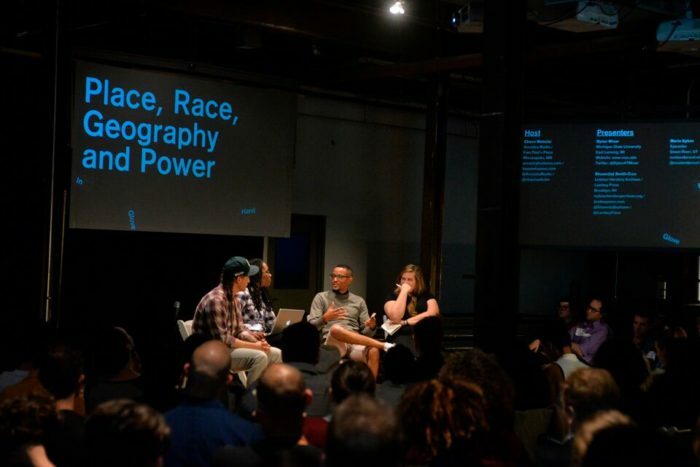 Its imperative is to remain near these voices, perpetually reformulating in response to its network’s needs and aspirations, and through this process, forming one of the most comprehensive mappings of contemporary art organizations and their practices in the United States, in all of their concrete, complex, contingent realities. 1. In the words of Alexis Clements: “The NEA Four—Tim Miller, Holly Hughes, John Fleck, and Karen Finley— [were] artists [who] were denied National Endowment for the Arts (NEA) funding in 1990, after Congress passed a ‘decency clause’ that gave the NEA permission to deny grants based on the subject matter of the art.” Alexis Clements, “The NEA Four Revisited: On Arts Funding,” Hyperallergic, May 14, 2013. Encuentro Common Field 2017, Los Ángeles, California. Imagen cortesía de Ian Gambers-Byer y Chris Kallmyer. Alrededor del 2003, un nuevo grupo de espacios artísticos comenzaron a aparecer alrededor de los Estados Unidos; sin embargo, por años se mantuvieron fuera del radar uno de otro y del mundo del arte en general. No es claro por qué este año en particular marca el surgimiento de la fundación de estos espacios —una nueva generación de gente creativa desilusionada por el arte a raíz de la locura del 11 de septiembre 9/11 y la Guerra de Iraq, la ubicuidad de las tecnologías móviles que precipitaron el trabajo fluido en una puesta en marcha, a la manera DIY o DIT, o simplemente, según los tiempos, una confluencia de energías en torno a la idea de operar espacios o instituciones de arte de forma diferente a como las instituciones de arte o cultura visibles tenían en oferta. 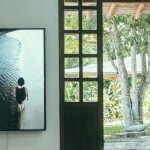 Muchos de estos espacios —Machine Project (Los Ángeles), The Luminary (St. Louis), Elsewhere (Greensboro), Space Gallery (Portland, Maine), y Threewalls (Chicago), por mencionar sólo algunos— eran parte de un grupo de 20 directores de espacios artísticos que fueron invitados a un retiro en Ox-Bow en 2013. Fue a partir de este retiro que surge Common Field. Los fundadores iniciales, Elizabeth Chodos, Courtney Fink, Nat May, Abigail Statinsky, Stephanie Sherman, y Shannon Stratton, representaban organizaciones que tenían el beneficio de ser parte del Warhol Initiative, un programa de desarrollo de capacidades dirigido por la Fundación Andy Warhol para las Artes Visuales —una de las pocas fundaciones para el otorgamiento de becas en EE.UU. comprometida profundamente con el trabajo de organizaciones artísticas. Aparte de la Fundación Warhol, no hay fundaciones privadas enfocadas en apoyar el trabajo de este campo a escala nacional, y los fondos públicos —como el National Endowment of the Arts o los consejos de arte estatales— no sólo tienen recursos limitados, sino que también son muy variables respecto a sus compromisos anuales. Muy pocos fondos cubren recursos operativos por lo que las organizaciones frecuentemente sobreviven inventando alguna combinación híbrida de voluntariado desenfrenado, ingresos obtenidos de programas o ventas, fondos de donaciones y donaciones privadas —desde grandes cantidades hasta crowfunding. Sin perspectivas reales para una estructura de financiación centralizada o un consenso sobre la promoción de la financiación como un objetivo viable, los organizadores fundadores de Common Field vieron la necesidad de articular prácticas y valores compartidos, dando definición al campo. La premisa para Common Field era generar una red de estos espacios de artistas y organizaciones que pudieran respaldarse una a otra a través de recursos compartidos, conexiones y apoyos, y mediante este intercambio crear organizaciones más sólidas, con mejores recursos, más interconectadas y mejor respaldadas como resultado del conocimiento y el poder colectivo compartido. Oficialmente lanzada en 2015, Common Field tomó como punto de partida el objetivo de “representar” este campo en evolución, que tenía pocos foros de conexión, y escaseaba de un lenguaje compartido a través del cual estos espacios pudiesen expresar su alcance, visión e impacto dentro del panorama del arte contemporáneo en los Estados Unidos. Se propuso visibilizar los espacios y proyectos dirigidos por artistas que componían el campo, inventando su propia manera de hacer cosas como una red que incorporaba los valores particulares de sus miembros. 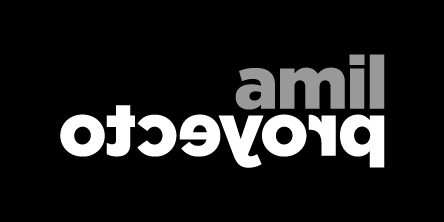 Tendría que ser ágil, experimental, arriesgada, inventiva y receptiva. Por supuesto, había un precedente histórico para Common Field, aunque parte del desafío del campo de las organizaciones de artistas es que su historia a menudo se pierde, se fragmenta o peor aún. Por ejemplo, el caso del predecesor más inmediato de Common Field, NAAO [la Asociación Nacional de Organizaciones de Artistas (National Association of Artists’ Organizations por sus siglas en inglés) que funcionó desde 1982 hasta 2001] el cual perdió sus archivos en un camión de basura cuando estos fueron retirados, sin saberlo, del garaje de un antiguo director. Centrado principalmente en el apoyo a las organizaciones de artistas que pudiera generar a través de la promoción política, NAAO sufrió una lenta desaparición después de demandar a su propio financiador, el National Endowment for the Arts, cuando el NEA revocó el apoyo a becas individuales después de que el notorio “NEA Four”  enfrentara a artistas individuales contra políticos conservadores —quienes negaron las becas— y las organizaciones que los apoyaron. Los precedentes más recientes, como Common Practice en el Reino Unido formaron una red cerrada y lograron una tarea singular y crítica: defender ante el consejo de arte del Reino Unido, el valor de los espacios de artistas. En contraste, hasta la fecha, Common Field no ha tenido una agenda tan específica de defensa, más allá de visibilizar un campo de organizaciones de artistas que no son ni parte del mundo del arte comercial, ni de la universidad o el sistema museístico y, al hacerlo, generar visibilidad y viabilidad para esta área del mundo del arte que a menudo se pasa por alto. Como una red nacional, Common Field conecta, respalda y aboga por el campo centrado en el artista, conectando, en la actualidad, a 700 miembros de 43 estados. La red incluye espacios de arte alternativos, publicaciones, espacios virtuales de exhibición, residencias, plataformas, colectivos, colaborativas, así como organizadores individuales. Fundamentalmente, Common Field “apoya la organización que genera nuevos contextos de creación, circulación y crítica. [Ellxs] se comprometen con las condiciones sociales, políticas y económicas cambiantes, priorizando el rol de la organización del arte dentro de estas preocupaciones más amplias.” Las organizaciones, autoidentificadas como miembros, se alinean con una red de valores y prácticas de organizaciones de artistas y su organización, y pagan con base en su presupuesto una pequeña tarifa anual para apoyar la red y sus servicios. 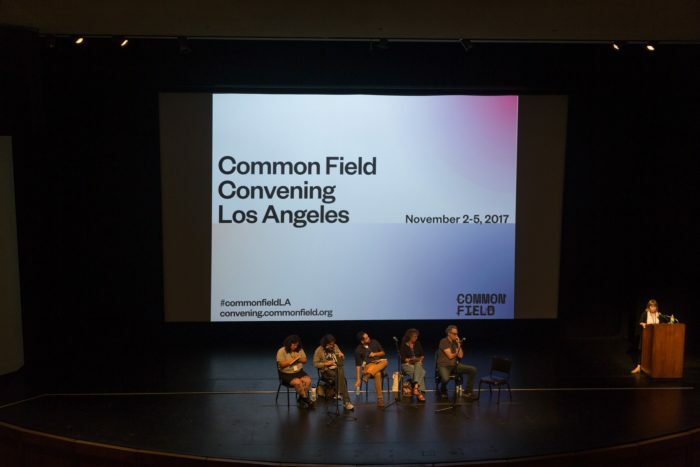 El programa principal de Common Field es la Convención Common Field, una reunión anual nómada que reúne al campo, más recientemente en Los Ángeles en noviembre de 2017. Common Field también alberga iniciativas de investigación, proyectos de publicaciones y comisiones de proyectos en asociación con su red de miembros, reuniones regionales, un foro en línea y más. A cinco de años de desarrollo, Common Field ha inflexionado conscientemente sobre su propia fundación organizacional con los desafíos ideológicos más urgentes de la época: está comprometido a involucrar al arte como una expresión de alianzas y prácticas sociales y políticas, acercándose al arte no sólo como una práctica que refleja el mundo, sino como un modo de representación o modelado activo del mundo. Este compromiso y modalidad operativa ha formado una red consciente de las afinidades y discrepancias entre sus participantes en cuestión de enfoque creativo, ideología, misión y visión. Independientemente de ellos, la evolución de Common Field ha sido conscientemente demostrativa, intentando modelar prácticas equitativas, gobernanza transparente, formas culturales colaborativas e inmediatez de respuesta como una manera de incubar aún más estos valores dentro del campo. La formación de Common Field ha sido un ejercicio de “mutualidad” de un grupo de espacios en donde lo “común” es una red de intereses, prácticas y enfoques —parte curatorial, parte directoral, parte artística, parte colectiva, parte administrativa, simultáneamente todas y ninguna de las anteriores. Una pregunta dominante durante el desarrollo de Common Field ha sido cómo, exactamente, este campo se mantiene como una red coherente —un conjunto de proyectos dirigidos por artistas, centrados en el artista o auto-organizados, que es expansivo y esencial en lugar de desconectado y marginal a las actividades más amplias del mundo del arte. Desde los documentos fundacionales de la red hasta las actividades de sus más de 700 miembros, Common Field ha sido multi-consecutiva, es dispar y no se puede resumir en una descripción fácil. Tal vez sea una cuestión más de posicionalidad que de estructura: de abajo hacia arriba, de afuera hacia adentro, de singular a común. Nuestros tiempos contemporáneos han sido vistos como aquellos atormentados por el fracaso de las instituciones gubernamentales, financieras, éticas y, por supuesto, culturales. La institución, como se entiende fundamentalmente, es un centro de poder, una destilación de fuerzas en un todo discreto. El mundo del arte institucional es un elemento común para el trabajo de las organizaciones, proyectos y espacios que conforman este campo. Ese mundo de instituciones tiene ciertos códigos: procesos jerárquicos de toma de decisiones, relaciones de poder dominantes, modelos de financiación comprometidos, historias coloniales y un punto de vista dominante, blanco, masculino y eurocéntrico. En los EE.UU., muchos museos, pero también el “complejo industrial sin fines de lucro” más amplio, así como la academia en general, tienden a ser más lentos para responder a llamadas de descolonización, acción directa y desinversión de clientes problemáticos, ya sea la familia Sackler o compañías de combustibles fósiles. El modo de trabajo independiente o alternativo es un equilibrio necesario y resistente a estas tendencias que abre nuevas formas de trabajar en pro de la equidad, la mutualidad y la liberación. La existencia de Common Field como una red de rápido crecimiento abre un punto de vista en el que esta “otra” forma de organización independiente se imagina más grande, más expansiva y más entrelazada que la centralidad de la institución. Esta red es dependiente de la colaboración y la solidaridad más que de las fuerzas que socavan los mensajes que presentan su organización y sus espacios constituyentes. Esta red, en su intento por promocionar las formas organizativas ligadas a la ética comunitaria y al beneficio compartido, ofrece una especie de contra-poder al mercado y al mundo del arte institucional: modelos y ejemplos tangibles que avanzan en el presente, tácticas hacia los próximos pasos y futuros reimaginados. En el caso de Common Field y muchas de sus organizaciones, somos bastante específicos en nuestra elección de no ser instituciones, ya que las instituciones están fundamentalmente diseñadas para soportar cambios a lo largo del tiempo. Se mueven lentamente, se resisten al cambio, son firmes y resilientes, sirven mejor como largos espejos, en lugar de catalizadores para los cambios en las culturas que les rodean. Las organizaciones, por otro lado, son formaciones de prácticas, un sistema diseñado en respuesta a una necesidad o agenda. Ponen en movimiento una estructura o plataforma para la participación que desplaza una visión radical por una realidad que puede ser comprometida, aprehendida y extendida. Las organizaciones son formas codificadas de hacer las cosas: ayudan a los extraños a trabajar juntos, proporcionan mecanismos para diferentes maneras de involucrar a las personas, se mueven con los tiempos en los que se encuentran. Una organización dirigida por artistas o centrada en ellxs, generalmente se aproxima al trabajo de lxs artistas como un proceso abierto, en lugar de los frutos finales de su trabajo, y pone esta perspectiva en el centro de su práctica. La organización podrá estar dirigida por lxs propixs artistas, o podrá ser una expresión de la intención curatorial de provocar, involucrar o conectar el proceso artístico. Valora a lxs artistas y a su público como agentes humanos. Así mismo, muchas de las organizaciones de Common Field se comprometen a superar los límites del arte: cómo es que se hace, se habla, se presenta, se cura, se activa. Y, por lo tanto, estas organizaciones suelen ser experimentales (en el sentido de que toman riesgos, intentan, fallan), son independientes (no están supeditadas a otras instituciones más grandes) y no son comerciales (las ventas no son el resultado final o el objetivo de su trabajo, incluso si tienen una interfaz comercial). Encuentro Common Field 2015, Minneapolis, Minnesota. Imagen cortesía de The Soap Factory y Common Field. 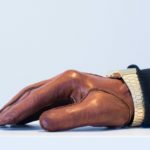 Dentro de las instituciones de arte contemporáneo más tradicionales, a menudo es la figura del curador quien maneja la agencia de dichos espacios para abordar las urgencias del presente a través de un enfoque predominantemente simbólico en forma de exhibiciones y programas; dentro de Common Field, las tendencias curatoriales se inclinan hacia cuestiones de proceso, acceso y generación de conocimiento, así como la construcción de comunidad o la conexión directa con el cambio cultural y estructural. En este campo, lo que se hace no se centra necesariamente en un puesto particular, ya que el director, el curador, el montajista, el recaudador de fondos y el comunicador a menudo colapsan en la misma práctica. Desde este punto de vista, Common Field frecuentemente se refiere a sus participantes como “organizadores de las artes”, ya que este trabajo es mucho más parecido a lo que un organizador comunitario podría hacer: reunir, comunicar, conectar, organizar, crear fondos, recaudar fondos, etc. En lugar de los sustitutos más comunes como el trabajador artístico, el productor cultural o el administrador de arte, posiciones que se han vuelto centrales en cuestión del artista como obrero, como agente libre y como burócrata, respectivamente, un organizador de arte contiene y excede estas dinámicas. Uno administra el presente pero organiza hacia el futuro. Poniendo en primer plano esta tendencia, Common Field creó una serie improvisada bajo el título de Politically Resistant Programming tras las elecciones presidenciales de EE.UU. en 2017. Este programa reunió las actividades de sus miembros generando videoconferencias en línea y herramientas para compartir investigaciones sobre cómo estaban respondiendo y resistiendo las organizaciones y los organizadores. La serie surgió de una observación inicial de las actividades auto-organizadas que se estaban generando en el campo y la apremiante necesidad de actuar dadas las altas apuestas en juego. Sin embargo, la habilidad de Common Field para ofrecer una legibilidad colectiva alrededor del trabajo de sus miembros apuntan al poder de esta actividad curatorial descentralizada: reunir, presentar y difundir el disperso trabajo de la red. Los programas de Common Field negocian este delicado equilibrio, coagulan y comparten acciones organizativas y estimulan la energía colectiva en nombre de la red misma. Retiro de fundadores en Ox-Bow, School of Art & Artist Residency. Saugatuck, Michigan. Imagen cortesía de Courtney Fink. Si la institución es el poder centralizado a ser reformada hacia nuevos y equitativos fines, es en el sector independiente donde vemos primero estos valores a ser representados. No es una imagen de la institución colocada contra su contrario, más bien se trata, parafraseando a Antonio Negri, de construir organizaciones de lo común. Las teorías por sí solas no permitirán el tipo de cambios necesarios. Sin ejemplos prácticos de cómo funcionan los bienes comunes, sin un medio para aprender y reorganizar, sin la tensión de compromisos y negociaciones reales, ninguna aspiración llegará a materializarse. En el mejor de los casos, Common Field se basa en estas estrategias y tácticas, fortaleciendo el trabajo de organización de sus nodos y su agregado en conjunto. Como un contrapeso a las tendencias centralizantes de la institución, el movimiento de Common Field debe ser circular: una colectividad que se reúne, o convoca, y una red que continuamente empuja hacia fuera y de regreso hacia sus miembros. La permeabilidad de Common Field como una red requiere que sea moldeable a los deseos de la red misma, eso es, de hecho, inseparable de las múltiples voces de sus miembros. Una red también puede ser un sitio problemático de poder consolidado, como lo dejan en claro nuestras ubicuas redes “sociales”, por lo que es la vigilancia hacia lo común lo que mantiene a esta estructura descentralizada en su lugar. La circulación entre Common Field, y sus miembros y viceversa debe ser generativa, y perpetuamente reformativa. Debe estar abierta a la crítica y ser flexible, debe encontrar formas de recepción de aportaciones, pero también tomar decisiones rápidas e inteligentes. Common Field es imposible de imaginar separado de las urgencias, posibilidades y complicaciones del presente. Está implicado tanto a nivel nacional como globalmente inflexionado. Aunque Common Field se sitúa dentro del contexto único de los EE.UU. en todas sus desordenadas asociaciones, el campo en sí es un fenómeno global: las organizaciones artísticas nacen, viven y mueren, son funciones de sus contextos y motivaciones, y son a menudo no reconocidas por las instituciones más grandes que alimentan. Estructuralmente, Common Field se construye en torno a las presencias a veces contradictorias de su red en centros urbanos y contextos rurales, en formas itinerantes o en línea, y en la confusa combinación de modelos organizativos establecidos más antiguos con las plataformas experimentales emergentes siempre surgiendo. Su imperativo es permanecer cerca de estas voces, reformando constantemente en respuesta a las necesidades y aspiraciones de su red, y, a través de este proceso, formando una de las más completas asignaciones de organizaciones de arte contemporáneo y sus prácticas en los Estados Unidos, en todas sus realidades concretas, complejas y contingentes. 1. En palabras de Alexis Clements: “NEA Four —Tim Miller, Holly Hughes, John Fleck y Karen Finley— [fueron] artistas [a quienes] se les negó la financiación de National Endowment for the Arts (NEA) en 1990, después de que el Congreso aprobó una ‘cláusula de decencia’ que otorgó al NEA permiso para denegar apoyos basadas en el tema del arte”. Clements, Alexis. The NEA Four Revisited: On Arts Funding. Hyperallergic, 14 de mayo de 2013.